29 July 1943: Keel laid by the Federal Shipbuilding and Drydock Corp., Port Newark, N.J.
226k 01 December 1943: the Atlantic Ocean - Commissioned on 17 November at the New York Navy Yard in Brooklyn, N.Y., Riddle (DE 185) undergoes post fitting out trials. 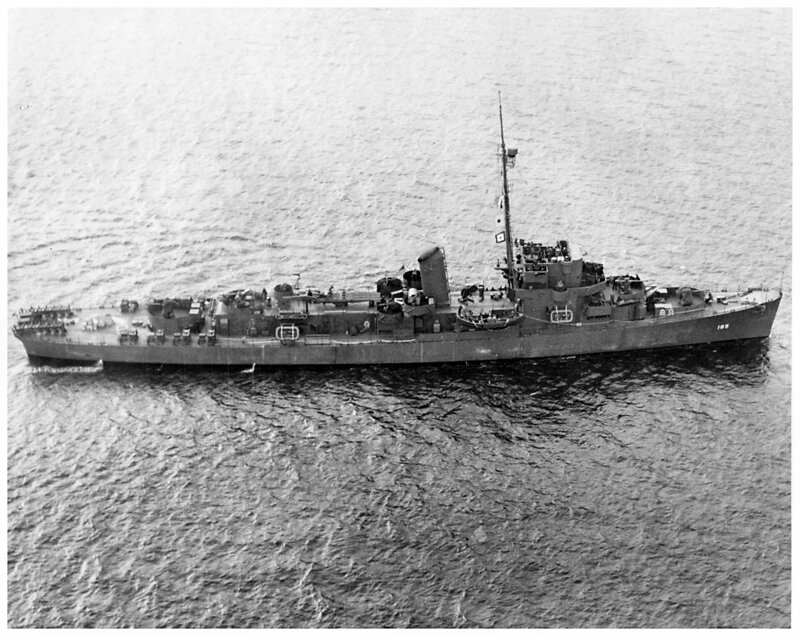 170k 16 December 1944: Riddle underway in the South Pacific. 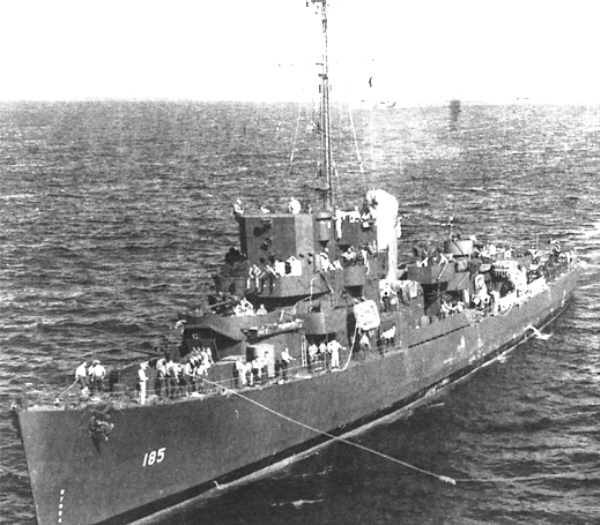 View the USS Riddle (DE 185) DANFS history entry located on the Naval History and Heritage Command web site. 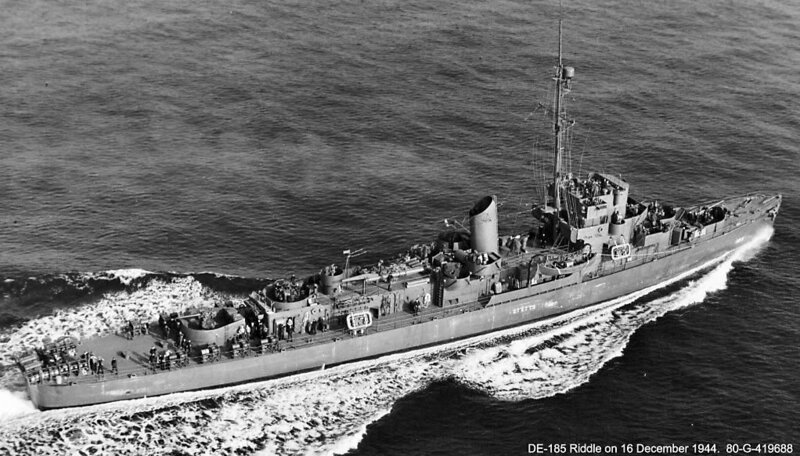 View the official War History of USS Riddle as submitted by the ship at war's end.